New FDA Guidelines: Do you know all 10 of these? 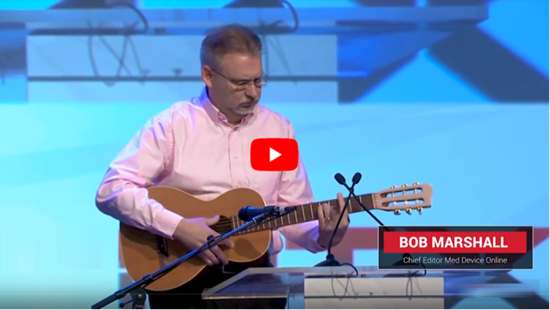 I’ve been hosting 10x Medical Device Conferences for six years but no one – before Bob Marshall – sang on stage. You likely recognize Bob’s name if you subscribe to his extremely popular Med Device Online site where he serves as Editor in Chief. I cite the lyrics below. But you’ll want to hear it for yourself. 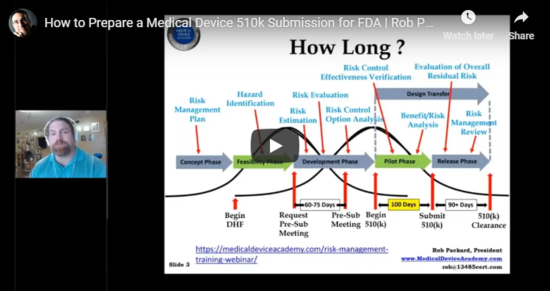 While you’re there, pick up his FDA guidance slides and the transcript. so I went down to Silver Springs. They said, “Go home, boy. I got the Regulatory Blues. no one can seem to find. is running three months behind. I got a call last week. Said they were coming for an inspection. got a real bad infection. I got to recall the whole collection. Tried to renew my registration. I just sent it in the mail. Get it? On key? Because he sang? Patient population splits. “For a long time in clinical trials, we’ve not done a good job covering gender, ethnicity, and other issues in having a good population to represent the end users.” FDA gives us guidance on that now. Is it a device? FDA realized some previous guidance was going to be problematic, specifically related to things around chemical action. They initially said, “There can’t be any chemical action or it’s not a device.” In this guidance, they’ve backed off. Submissions involving cybersecurity. They’ve given us guidance. They want to know your ‘updates over time’ plan because software changes all the time. You need to tell them how you’re planning for it. Nice job, Mr. Marshall. Thank you for sharing with the Group. Rob knocked it out of the park in our “How to prepare a 510(k) submission” presentation last week. As promised, here are the slides. Jobs for Hire: Click for details. Hiring managers, tomorrow’s the last day to promote your jobs for only $39 at https://medgroup.biz/jobs (promo code OCTOBER). Candidates, search medical device jobs and sign up for job alerts at https://medgroup.biz/jobs. Ask your question at medicaldevicesgroup.net/question/add. P.S. This is your community as much as mine. Please, write me if you’d like to contribute an article or ask a question.